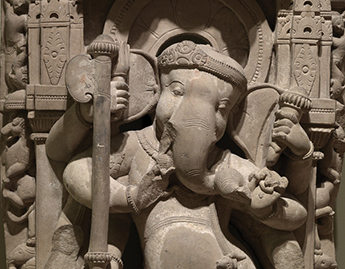 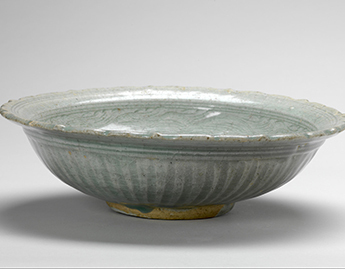 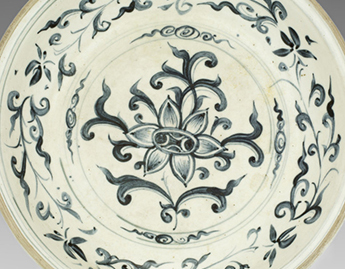 As in many other areas of the collection, the first gifts of Indian and Southeast Asian art came to the Museum from missionaries doing work in those regions during the last half of the 19th century and the early years of the 20th. 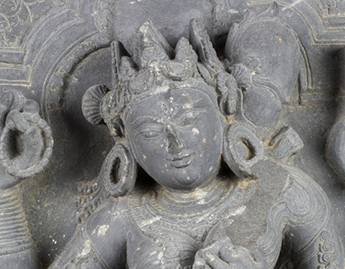 Over the past several decades the Museum has continued to acquire in these areas. 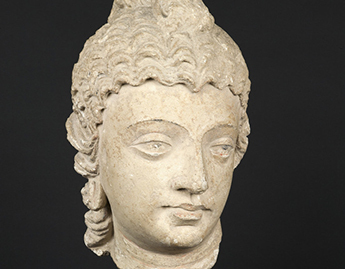 A graceful Gandharan head of a Bodhisattva was among the first purchases, acquired in 1931 through the generosity of the Nancy Everett Dwight Fund. 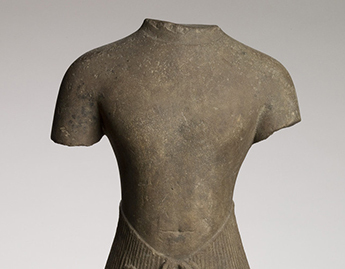 The collection was added to in the 1970s and ‘80s with the purchase and donation of several 19th-century Indian manuscript pages and an fragmentary 11th-century Cambodian sculpture of a standing male. 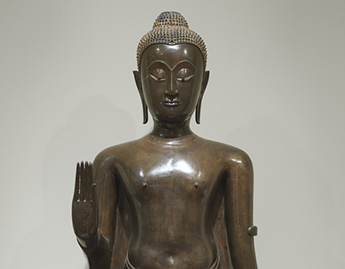 The collection was most recently augmented in 2012 with a gift from the Arthur M. Sackler Foundation of an exquisite Thai Buddha dating to the 15th-16th century.